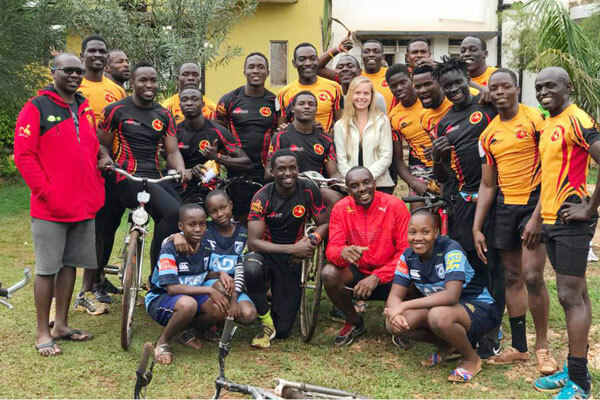 Uganda Sevens coach Tolbert Onyango named a 12-man squad that will compete at Christie 7s on Saturday Sep 15, 2018 at RFUEA Grounds. The squad is made up of players between 18 and 23 years old and recently competed at the East Africa Games in Burundi as well as French Week 7s tourney. The emerging side arrived in Nairobi on Friday at 11am according to Kenya Harlequin and will have a light training session at the RFUEA grounds from 5pm. Grouped in pool C, the Emerging side will face Quins, Impala Saracens and Northern Suburbs Cubs -a nationwide side from Nairobi.